Content by Tony Macklin. Originally published on December 5, 2015 @ tonymacklin.net. The Big Short is stunted. It's a coy film that doesn't deliver on its potential. It's based on the excellent non-fiction book by Michael Lewis titled, The Big Short: Inside the Doomsday Machine. The movie never goes inside the Machine. It throws pebbles at it. They clank and fall off. It's The Big Short: Just a Movie. 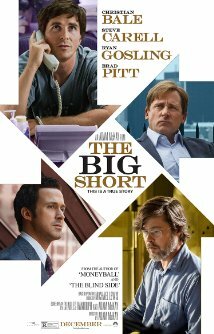 The Big Short is the story of how a few "outsiders" independently were prescient, saw a coming crisis, and took advantage of it. They were held in total disdain by the powers-that-be. They began to short the housing market - to bet against it. They surmised that it would collapse under the weight of mortgages to those who couldn't pay them. When the crash came, it devastated the economy and almost destroyed the future. 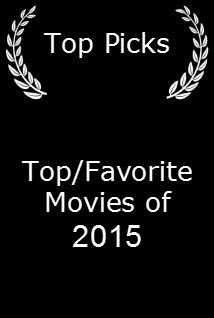 The Big Short follows a few of the players leading up to the collapse. Michael Burry (Christian Bale) saw the coming failure, but no one believed him. He acted on his perception and put his company at great risk, because of his belief and commitment. Mark Baum (Steve Carell), a hedge fund manager, because he received information from a phone call that had called the wrong number, also began to act on his belief of a dire financial future. Two young money-managers Jamie Shipley (Finn Whittrock) and Charlie Geller (John Magaro) fortuitously found information that led them to pursue shorting, which was about the only way they could get ahead. They got retired but well-connected Ben Rickert (Brad Pitt) to mentor them and join their journey. Jared Vennett (Ryan Gosling), a Deutsche bank trader, also got involved. All of these players didn't follow the money, because the money was going down the drain. They decided to plumb it. But it was a risky operation, no matter how certain they tried to be. As we now know, the predictions came true. 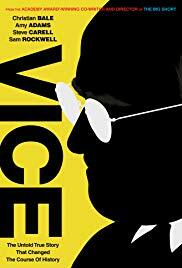 Adam McKay directs a film that skips around the events. The studio and many reviewers are marketing The Big Short as a comedy. Of course, they are. The Big Short is cautious. The movie even changes the names of the major participants, except for Michael Burry. Perhaps that's why Bale, who plays Burry, lights up the screen as no one else does when he appears. Steve Eisman becomes Mark Baum (Carell). Greg Lippmann becomes Jared Vennett (Gosling). Ben Hockett becomes Ben Rickert (Pitt). Jamie Mai becomes Jamie Shipley (Finn). Charlie Ledley becomes Charlie Geller (Magaro). Valerie Feigen (Eisman's wife) becomes Cynthia Baum (Marisa Tomei). It looks like these folks didn't want their names promoted. Danny Moses (Rafe Spall), Porter Collins (Hamish Linklater), Vinny Daniel (Jeremy Strong), and Mr. Chau retain their names. Women avoid actuality in the movie. Who was Meredith Whitney and why was she crucial? You have to read the book. She's not in the Boys' Club movie version of The Big Short. Oscar-winning actress Melissa Leo appears behind dark glasses as a vague, unknown character. Probably a composite of womanhood. Steve Eisman didn't want the fact that he lost a child mentioned in the movie, so that was changed. I wonder how much McKay also listened to the bankers. He certainly had to listen to the money people. He agreed to include a line about Caesar's in Las Vegas, and supposedly he even suggested he would direct Anchorman 3. Since The Big Short is a talkfest with some improvised dialogue, McKay gooses it up with facile cinematic trickery - a narrator, montages of pop culture, drawings and diagrams, and characters talking directly to the audience. Selena Gomez, Anthony Bourdain, and Margot Robbie are explainers. Robbie is in a tub of bubble bath drinking champagne while she speaks about business. The acting is forceful. If Bale had been the main protagonist, The Big Short would have been a better film. He's a brilliant, appealing, creative actor. Carell is all over the place as the loud, obnoxious, aggressive Baum. Gosling and Pitt are cool in their own ways. Melissa Leo is persuasive in a brief role. The rest of the cast is suitable. But because of the screenplay by McKay and Charles Randolph and the direction by McKay, The Big Short is cluttered and willy-nilly. Most of all, it pulls its punches. The Big Short is akin to the Obama administration, as Obama's 8-year presidency skids to its conclusion. In 2008, the majority of the country wanted a champion. They wanted a fighter. But, like Ali, Obama played rope-a-dope. But, unlike Ali, he had no knockout punch. Obama is a jabber. McKay also is a jabber. People yearned for a dreamer, maybe even a Don Quixote. Now we have another Don - Trump, who wants to take us back to a time when bankers didn't get caught. When America was "great." Ironically, the right's present clarion call comes from liberal Paddy Chayefsky, who wrote in Network (1976), "I'm mad as hell, and I'm not going to take this anymore!" The left's clarion call is, "Yes, we can." It is telling that it wasn't, "Yes, we will." The Big Short's is, "Yes, we couldn't." The Exploiters revealed a truth, and exploited it to selfish advantage. Are the exploiters really heroes? Only one culprit in the financial scandal was imprisoned. Once again, culprits never pay. The Big Short doesn't hold their feet to the fire. It holds them to the ashes.